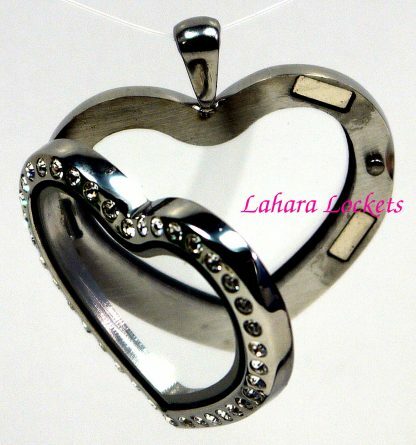 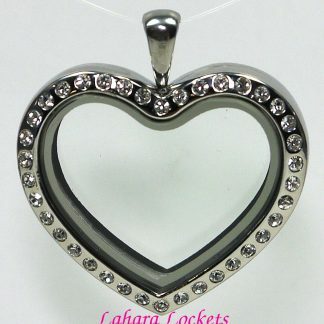 This large, heart-shaped, glass memory locket opens like a book, allowing you to change charms with ease. 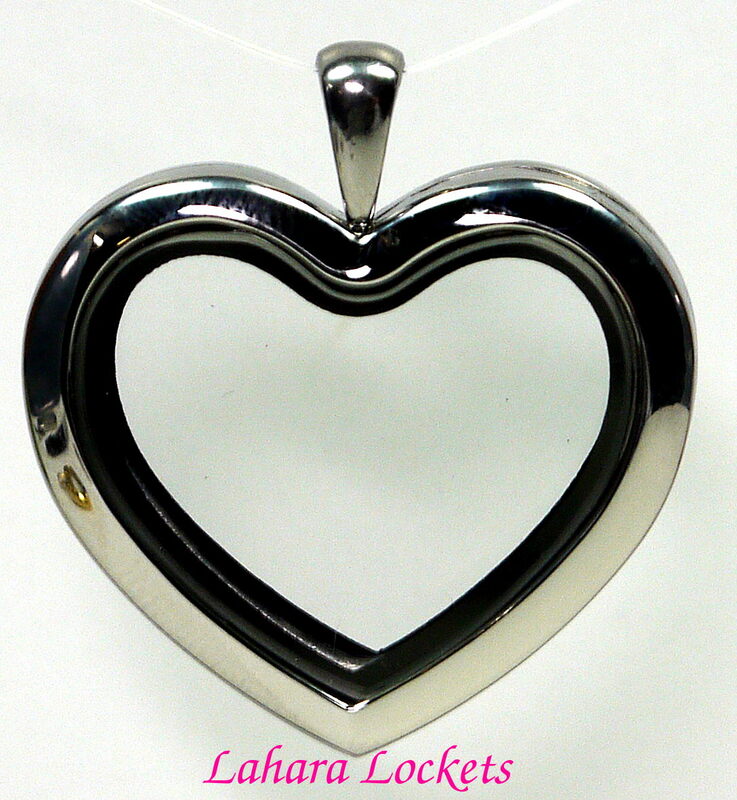 It is held closed by two strong magnets and only opens when you want it to. Create a personalized look with our extensive selection of floating charms. 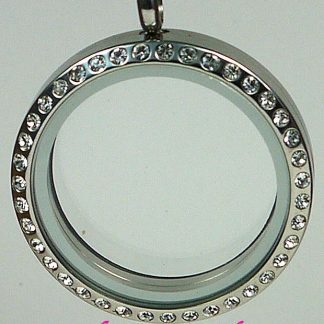 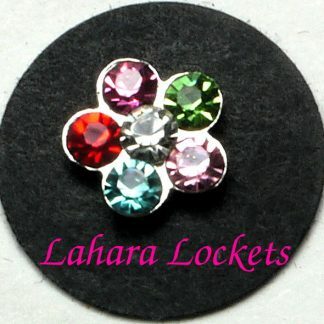 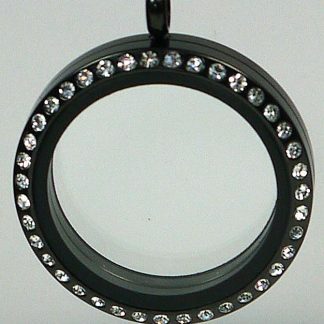 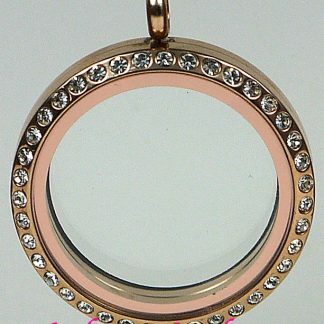 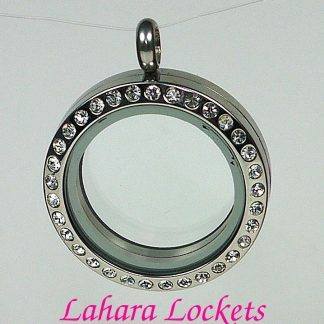 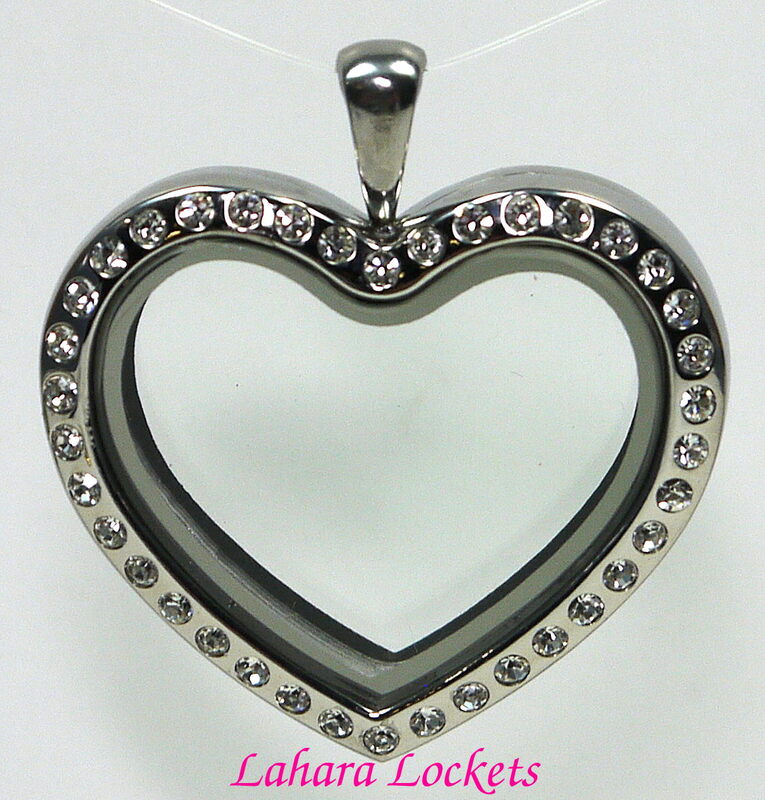 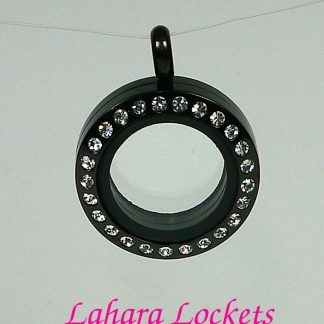 This locket can be turned over and worn without the crystals showing for a less formal look. 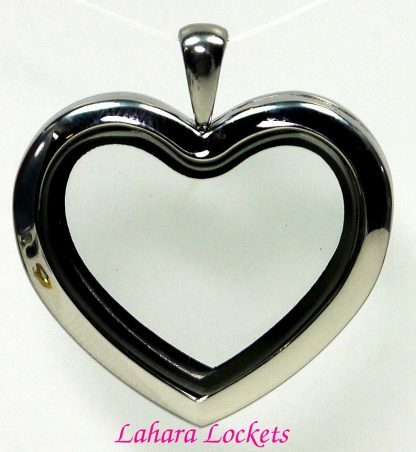 Our large, heart lockets are made from jewelry-grade stainless steel and come in silver, gold, black, rose gold, chocolate and rainbow finishes.